Being a huge fan of Orange Bird, this was a MUST stop for me last year. I enjoy a good Orange Citrus Swirl soft serve, don't get me wrong, but I actually paid for this adorbs cup and had it filled with water I was so excited to get my hands on one! This Adventureland snack shop is located around the outside of Magic Carpets of Aladdin next to the lovely Enchanted Tiki Room. If there are tables available near the shop its a great little respite as this area of Adventureland can sometimes be a little ignored for the bigger draw areas. 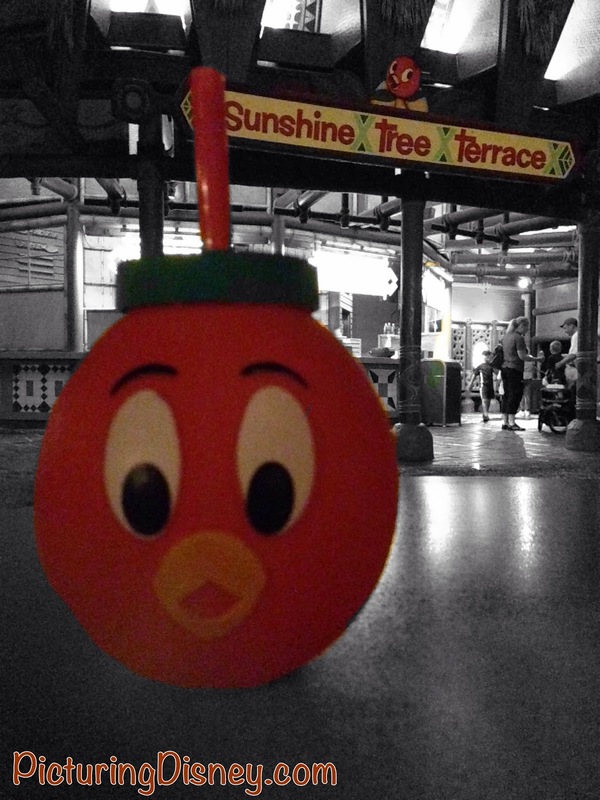 I love the nostalgia here and visiting with that little orange bird.